DaNang65's Recent Posts - United Veterans of America, Inc. Administrator of: United Veterans of America, Inc.
Two decades have passed since the 1990-1991 Persian Gulf War. 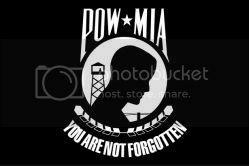 For many of those that served in the Gulf, the subsequent days, weeks, months, and years have passed slowly. Chronic pain, gastrointestinal disorders, extreme fatigue, depression, lack of coordination, joint and muscle aches, shortness of breath, mental confusion and memory loss are constant companions. Informational data derived from studies conducted by the United States Department of Veteran’s Affairs indicate as many as 250,000 of the almost 700,000 service men and women who served in the Middle East during the deployment in 1990 and 1991 report symptoms of Gulf War Illness, also commonly known as multi-symptom illness. It is vitally important to each and every veteran of OEF/OIF/OND join in this Registry. The temperature hovered slightly above freezing near the end of winter 1963. A small group of soldiers who had recently been transferred to Fort Jackson, South Carolina, stood in line outside dusty barracks. They looked curiously at 55-gallon steel drums painted with an orange band. After a few minutes, a gruff sergeant called their names and serial numbers, and they walked into a closed room. They stood still for a few minutes as a chemical spray settled over their green fatigues and penetrated their pores. "The only proof we have of this is in the lists they used to... take us to the gas chambers," says Carlos Ruiz-Rojas, a 72-year-old Cuban refugee who joined the U.S. Army at the height of the Cuban Missile Crisis in 1962. "And right before entering the gas chambers, they specified very clearly that after entering, we had to stand there without moving. For more than two decades, Ruiz-Rojas, backed by affidavits from other members of a special infantry unit made up of Cuban refugees, has been fighting a battle with the U.S. government. He says the Army intentionally exposed dozens of Cuban-American soldiers to Agent Orange, a highly toxic dioxin compound used in the Vietnam War to destroy jungle canopy and deny North Vietnamese soldiers and Vietcong guerrillas vegetative cover. The Geneva Agreement of 1954 ended the French colonial rule of Vietnam. However, the Eisenhower administration subverted the idea of a united and independent Vietnam. It funded a puppet government in Saigon to resist Hanoi, thus precipitating a twenty-year American War in Indochina. In 1961, president John Kennedy approved the use of herbicides to defoliate the dense jungles of Vietnam. This decision turned a bitterly fought war into an illegal, immoral, and humiliating contest for the United States and an ecological catastrophe for Vietnam. The Americans sprayed the forests and rice fields of Vietnam with Agent Orange, a concoction of 2,4,5-T and 2,4-D, two exceedingly toxic weed killers. One of them, 2,4,5-T, was contaminated by TCDD-dioxin, the most potent molecule in the industrial world's chemical arsenal. The chemical warfare lasted until 1970 when president Richard Nixon renounced the first use of "incapacitating chemical weapons" and "any use of biological and toxin weapons." When she returned from serving in the Gulf conflict in 1991, US Air Force nurse Denise Nichols experienced sudden aches, fatigue and cognitive problems, but had no idea 'what was causing them. They grew worse: even helping her daughter with multiplication tables became difficult, she says, and eventually she had to quit her job. Nichols wasn't alone. About a third of Gulf war veterans – possibly as many as 250,000 – returned with a similar set of symptoms. Now an imaging study has found that these veterans have what appear to be unique structural changes in the wiring of their brains. This fits with the scientific consensus that Gulf War syndrome (GWS) is a physical condition rather than a psychosomatic one, and should be treated with painkilling drugs instead of counselling. The military in various countries has in the past consistently denied that there is a physical basis to GWS. Although the US Department of Veterans Affairs (VA) now officially accepts that the disorder is physical, the issue has been mired in controversy. Earlier this month, Steven Coughlin, a former senior epidemiologist at the VA, testified to a Congressional panel that the VA had suppressed and manipulated research data so as to suggest that the disorder was psychosomatic. Coughlin told the panel: "If the studies produce results that do not support the [VA's] unwritten policy, they do not release them… On the rare occasions when embarrassing study results are released, data are manipulated to make them unintelligible… Anything that supports the position that Gulf War illness is a neurological condition is unlikely to ever be published." In response, the VA said that the organisation has a "long history of conducting world-class research studies that meet accepted and rigorous scientific standards". They also note that "all allegations of malfeasance are taken seriously and are investigated fully". Veterans of the 1991 Persian Gulf War suffering from chronic pain and fatigue have brain damage to their white matter, the connective nerve fibers that transmit electrical impulses among the brain’s gray matter, a Georgetown University Medical Center study finds. Using advanced scans called diffusion tensor imaging, researchers discovered that the brains of 31 veterans who served in the Gulf War had significant changes to the axon bundles — the white matter — in the parts of the brain that process pain and fatigue. Patients without Gulf War illness did not have the neuronal changes, study lead investigator Dr. James Barniuk said. VA Loan FAQ: Where do I Start? VA home loans are available to former servicemembers, active duty personnel, select Reserves, National Guard members and select surviving spouses. So how these individuals apply for a home loan and get one step closer to owning their dream house? There are several steps to go through, but the first task is to get a Certificate of Eligibility, or COE. Servicemembers can apply for the COE via the Internet on his or her own, or they can typically get one in just minutes with the help of a VA-approved lender. Contrary to popular belief, the VA does not directly issue the home loan to the borrower. Instead, a VA-approved lender issues the loan and assumes some of the risk. This gives the lender some flexibility in approving or denying a VA loan approval based on an individual’s risk factors. Applying for a COE through the U.S. Postal Service is also an option. You’ll need to use the VA Form 26-1880 and return it to the address on the form. If you lack printing capabilities you can call VA, and the agency will mail you a form. A former epidemiologist for the Department of Veterans’ Affairs told lawmakers on Wednesday that the agency’s Office of Public Health buries or obscures research findings on veterans exposed to environmental toxins and hazards going as far back as the Persian Gulf War. Steven Coughlin, who had worked more than four years for the VA before quitting over “serious ethical concerns” in December, said in testimony that leadership in the agency’s public health office did not want to find or reveal evidence that Gulf War illness and other sicknesses were linked to troops’ military experience. "On the rare occasions when embarrassing study results are released, data are manipulated to make them unintelligible,” he told the House Subcommittee on Oversight and Investigations. Coughlin said his former office never released findings of a $10 million study that produced data on 60,000 Iraq and Afghan war vets – of which up to 30 percent were Gulf War vets – that revealed exposures to pesticides, oil well fires and more. Defense Secretary Chuck Hagel on Tuesday halted production of the new Distinguished Warfare Medal for drone pilots and cyberwarriors, and ordered a review of its ranking above the Bronze Star with Combat "V" and the Purple Heart. Hagel announced the review following heated criticism from Congress and veterans groups such as the Veterans of Foreign Wars. No servicemember has received the medal thus far, said George Little, the Pentagon's chief spokesman. The defense secretary directed Army Gen. Martin Dempsey, the chairman of the Joint Chiefs of Staff, to conduct the review of the medal's position in the "order of precedence" for military decorations and report back to him in 30 days, Little said. Internal Veterans Affairs Department documents show that at least two veterans died last year waiting to see a doctor while others couldn’t get primary care appointments for up to eight months, members of a House oversight and investigations panel said Thursday. Addressing the ongoing problem of vets who suffer through long waits for appointments at VA hospitals and clinics, House lawmakers joined federal investigators and veterans service organizations in castigating VA on an issue that has endured for more than a decade. “Evidence shows that many VA facilities, when faced with a backlog of thousands of outstanding or unresolved consultations, decided to administratively close out these requests. Some reasons given included that the request was years old, too much time had elapsed, or the veteran had died,” said Rep. Mike Coffman, R-Colo., chairman of the House Veterans Oversight and Investigations panel. On March 15, 2013 the Agency for Toxic Substances and Disease Registry (ATSDR) released its "Chapter A: Summary and Findings" water modeling report for the Hadnot Point and Holcomb Boulevard Water Treatment Plants and Vicinities for Marine Corps Base Camp Lejeune, N.C. ( http://www.atsdr.cdc.gov/sites/lejeune/hadnotpoint.html). You will receive a hard copy of the ATSDR fact sheet and other information in the mail in the coming weeks. This report provides ATSDR's assessment of past exposures to a class of chemicals known as "volatile organic compounds" (VOCs) in the drinking water distributed by these two Camp Lejeune water treatment systems. These VOCs were commonly used as solvents for cleaning machinery and weapons, for dry cleaning, and some are found in fuels. ATSDR's water modeling estimates that the first month any VOC exceeded the current Environmental Protection Agency (EPA) regulatory standards in drinking water in the Hadnot Point system was August 1953, and at least one VOC exceeded the current standard in Hadnot Point drinking water from August 1953 through January 1985. This release marks a major milestone towards the completion of scientific efforts pertaining to this issue and another step in ongoing efforts to provide comprehensive science-based answers to the health questions that have been raised. ATSDR will use these results and the results of a similar water model developed for the Tarawa Terrace area in 2007 to estimate chemical exposures for several of their on-going health studies. Since 1991, the Marine Corps has supported scientific and public health organizations that are studying these issues. We continue to support these initiatives and are working diligently to identify and notify individuals who, in the past, may have been exposed to the chemicals in drinking water. For more information about these efforts, or to update your contact information, please see: http://www.marines.mil/clwater/, call (877) 261-9782 or e-mail at clwater@usmc.mil. For the complete report and for information about studies being conducted by ATSDR, visit http://www.atsdr.cdc.gov/sites/lejeune/ or call (800) 232-4636. To contact Veterans Affairs to learn more about the health care benefits, please visit http://www.publichealth.va.gov/exposures/camp-lejeune/ or call (877) 222-8387 (Healthcare) or (800) 827-1000 (Benefits). Investigations into the Allegations of Herbicide Orange on Okinawa. This project was initiated on 21 May 2012 through appointments with Oak Ridge Institute for Science and Education, Oak Ridge Associated Universities with the funding provided by United States Army Public Health Command. Documentation for the preparation of this report required an extensive search for historical records in the various United States National Archives, the historical collection on Agent Orange at the National Agricultural Library, Military Service Archives, and the Armed Forces Pest Management Board’s Literature Retrieval System. In addition, searches of records were conducted by The Naval History and Heritage Command, The United States Army Public Health Command, and the records maintained by the military units of the United States Forces Japan. Seven allegations by former US military stationed in Okinawa implicated Herbicide Orange as being transported to Okinawa, and there tested and evaluated for use in Vietnam, used in perimeter vegetation control on military installations, stored prior to shipment to Johnston Island, or buried as a means of disposal. Each allegation was carefully investigated and an assessment of fact determined. WASHINGTON­ – During today’s testimony before a joint hearing of the Senate and House Veterans Affairs Committees, the national commander of the Veterans of Foreign Wars of the U.S. (VFW) pledged the organization will not let America’s veterans be forgotten by Congress or the Administration. Today’s testimony comes just days after the announcement of mandatory Department of Defense budget cuts brought on by sequestration. “The VFW is deeply concerned about the impact sequestration will have on the Departments of Veterans Affairs and Defense budgets. Maybe not this year, but in future budget submissions, and how that reduction in programs and services will impact our troops returning from Afghanistan, our veterans, and their families,” VFW National Commander John E. Hamilton, a Vietnam War Marine Corps rifleman and triple Purple Heart recipient, told the committees. Last year, Secretary Eric K. Shinseki announced a goal to hire 1,600 new mental health clinical providers and 300 administrative support staff. The President's Aug. 31, 2012, Executive Order requires the positions to be filled by June 30, 2013. As of Jan. 29, VA has hired 1,058 mental health clinical providers and 223 administrative support staff in support of this specific goal. VA has also completed hiring and training of additional staff to increase the capacity of the Veterans Crisis Line (1-800-273-8255, press 1) and phone lines have been increased by 50 percent. Mental health care providers can find additional information about rewarding VA careers and apply for jobs online at the VA Careers webpage at www.vacareers.va.gov and at USAJobs.gov at www.usajobs.gov. To locate the nearest VA facility or Vet Center for enrollment and to get scheduled for care, Veterans can visit VA's website at www.va.gov. Editors Note: Although the Da Nang airfield and its environs area but a small area of the former Republic of Viet Nam the health issues raised by the indiscriminate use of Agent Orange and the difficulties of remediating the poisoning of a countryside, even all these years later, are of concern to all who were 'sprayed and betrayed' anywhere 'in country' or exposed in the many theaters of support. Areas at Danang International Airport have been referred to as a dioxin "hotspot" due to high dioxin concentrations in soil and lakebed sediment remaining at this site from the U.S.-Vietnam War. The U.S. Agency for International Development (USAID) and the Vietnamese Ministry of National Defense (MND) are jointly implementing the Environmental Remediation of Dioxin Contamination at Danang Airport Project which aims to clean up the dioxin contamination and reduce the risk of exposure to dioxin while developing Vietnamese capacity for implementing similar remediation activities at other sites in Vietnam. See photos of site preparation in Danang. VA expanded the dates of presumed Agent Orange exposure along the Korean demilitarized zone (DMZ) to April 1, 1968 - August 31, 1971. This simplifies and speeds the benefit application process for Veterans of the Korean DMZ. PHOENIX – Governor Jan Brewer today was honored by the National Association of State Directors of Veterans Affairs (NASDVA) with the “Advocate of the Year” Award. Each year, the Association recognizes individuals for their dedicated work on behalf of our country’s military men and women, veterans and their families. Nebraska Governor Dave Heineman is also a recipient of the 2013 NASDVA award. This is the first time a Governor has been honored as Advocate of the Year for veterans. “I am honored and humbled to receive this prestigious commendation,” said Governor Brewer. “In early December, I was blessed with the opportunity to visit our troops overseas in Kuwait and Afghanistan. Witnessing first-hand the important work our men and women in uniform do on behalf of our country truly filled my heart with pride. I salute each and every one of our troops – past and present, at home and abroad – for their devoted service and sacrifice to this great nation. “Likewise, I offer my sincerest gratitude to the National Association of State Directors of Veterans Affairs for its continued support of our veterans and their families. Its mission is worthwhile and admirable, and I applaud its members for all they have done to make a difference in the lives of our country’s heroes in uniform. I thank NASDVA for this award, and I will continue to work tirelessly to uphold its title. In honoring Governor Brewer, NASDVA cited her ongoing efforts to expand assistance to Arizona military families experiencing financial hardships as a result of a deployed family member to a combat zone, as well as her work to secure funding for the construction of Arizona’s second veterans home in Tucson. At capacity, this facility will provide housing for 120 Arizona veterans. Governor Brewer’s support of veterans precedes her governorship. While Secretary of State, she led Arizona’s then-groundbreaking efforts to ensure United States service members overseas are able to cast a ballot, including with the use of vote-by-fax. As part of the Governor’s 2013 “Four Cornerstones of Reform” policy agenda, she has noted the large number of servicemen and women who will shortly be looking for a job after returning from overseas deployments. One of her greatest priorities over the coming year will be finding innovative ways to connect our trained veterans with jobs in the civilian workforce. This week Senate Majority Leader Harry Reid, D-Nevada, introduced a comprehensive veterans’ employment package designed to extend and improve upon veterans’ employment benefits included in the 2011 VOW to Hire Heroes Act. One of the key VFW-supported provisions included in the “Putting Our Veterans Back to Work Act of 2013, or S. 6, is an extension of the highly popular Veterans Retraining Assistance Program, or VRAP, which offers one year of additional GI Bill-style education benefits to unemployed veterans between the ages of 35-60. VRAP is scheduled to expire in March 31, 2014, meaning any of the 99,000 veterans approved to participate in the program will no longer be able to receive benefits, even if they are actively enrolled in an approved program. VetAdvisor®, a Service-Disabled-Veteran-Owned Small Business, is conducting a sleep survey in partnership with Johns Hopkins. They are hoping to get 5,000 veterans involved to provide researchers with a better understanding of the subject and how it affects veterans. The group provides veteran-centric preventive care and services and is located in Pennsylvania. For more information or to take part in the sleep survey, click here.